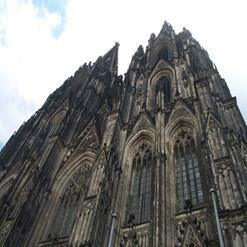 Cologne is quite famous for its "Veedel" or traditional neighborhoods. Here, especially in the Bohemian Agnesviertel, where visitors can find independent designers, bars, cafes, bookshops and art galleries. This is one of the most popular hangouts for visitors, and you can also find plenty of historical monuments around here, including the North City Gate and a late neo-gothic church on Neusserstrasse.